I have some exciting news! This year I'm offering a WEEK LONG BLACK FRIDAY SALE in my Etsy Shop! This is the biggest sale I've ever had ...... 40% off baby! Starts tomorrow, November 22nd and goes through the 29th. 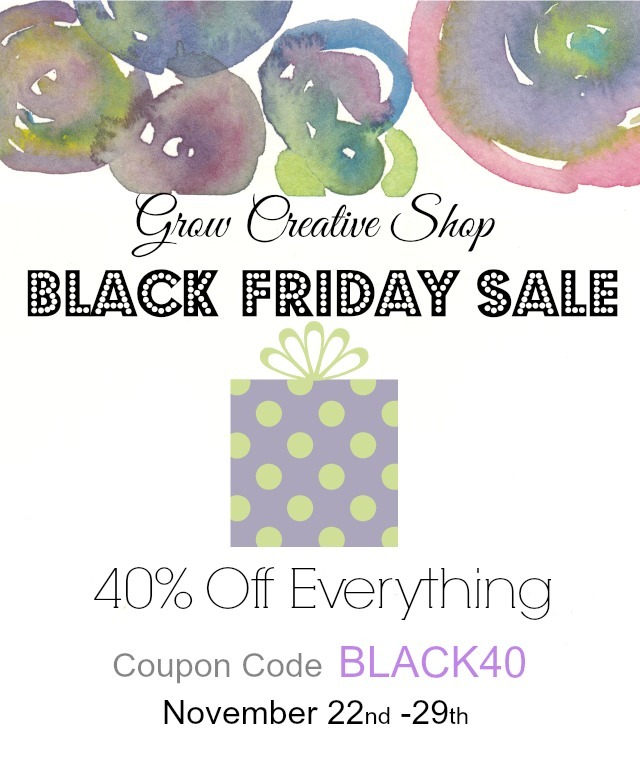 Please visit my shop tomorrow or sometime within the next week and enjoy 40% off anything and everything I have to offer. Use the code BLACK40 at checkout.